WWE Hall of Famer, Bubba Ray Dudley aka Bully Ray recently took it to his Twitter handle and made a very bold acclamation about legendary Japanese faction The Bullet Club. 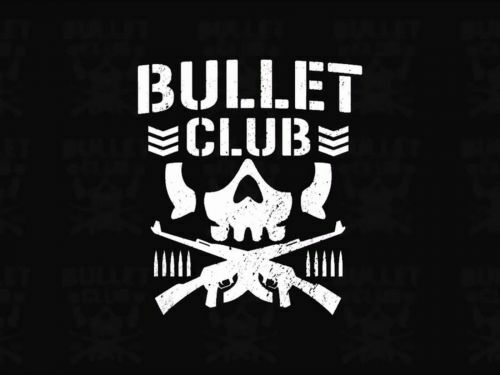 The Bullet Club was initially founded by current WWE superstar and former Universal Champion, Finn Balor in 2013. Following the inauguration of the group, Balor was joined by the likes of Bad Luck Fale, Tama Tonga, and current WWE star Karl Anderson. Within a few short months, the likes of The Young Bucks and Luke Gallows also associated themselves with The BC. After Balor's departure from NJPW, wrestling legend AJ Styles took over control of The Bullet Club and became the front-runner of the group. Under Styles' reign as BC frontman, the likes of Kenny Omega, Cody Hall, and Yujiro Takahashi joined the faction as well. In 2016, Styles departed from NJPW and Kenny Omega took over leadership of The Bullet Club and formed the sub-group called The Elite alongside The Young Bucks. Within these past two years, under Omega's leadership rather, The BC enjoyed an immense amount of success with the group adding notable superstars such as the likes of Adam Cole, Cody Rhodes, Marty Scurll, and Hangman Page to the faction. However, earlier this year, The Elite bid farewell to The BC and split away from the group, leading to a new era of The Bullet Club led by the likes of Tama Tonga, Bad Luck Fale, and new members Jay White, Gedo, and Jado. The current incarnation of The Bullet Club has also added the likes of Jr. Heavyweight superstar Taiji Ishimori and Robbie Eagles. In a recent tweet, WWE Hall of Famer and one half of The Dudley Boyz, Bubba Ray Dudley, who once upon a time was a part of The Aces and Eights, took to Twitter and claimed that if it weren't for The Aces and Eights then The Bullet Club wouldn't have existed. The Bullet Club is currently set to make an impact at the upcoming Wrestle Kingdom 13 show with members of the faction set to compete in high profile matches.